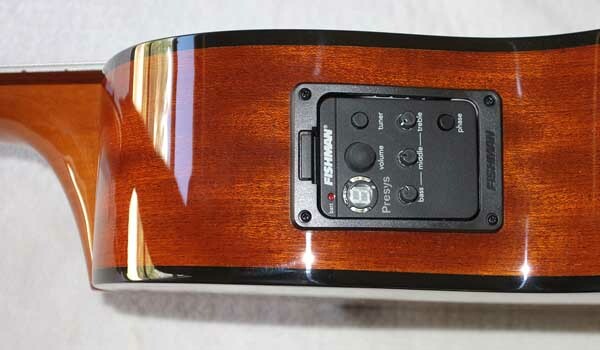 Cedar Top, Cutaway, Fishman Presys Pickup!!! 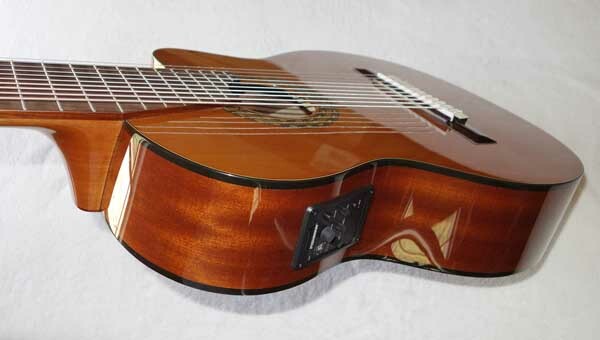 Up for consideration is a brand new Cathedral Guitar 10-String classical harp guitar, with cutaway, Fishman Presys pickup, and hardshell case. 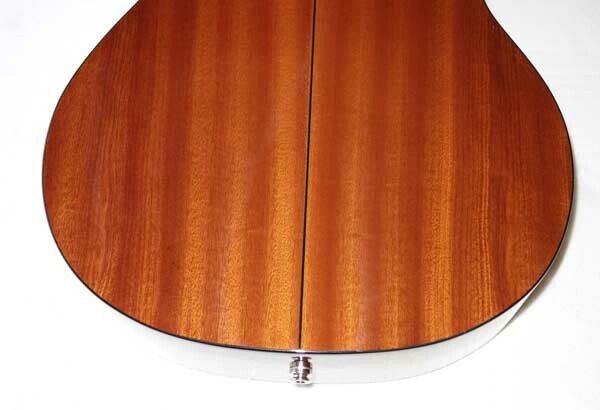 This guitar is the Model 125CEL, which features a solid Cedar top, Mahogany back & sides. This guitar is the intermediate model in the line of Cathedral Guitars, made by Bartolex. 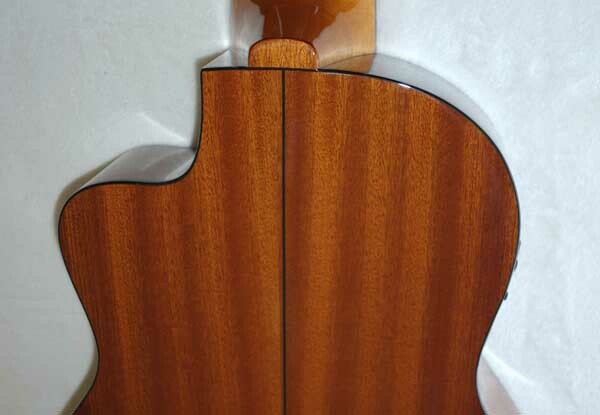 The goal here was to keep the tonewood and workmanship quality very high, but with simpler cosmetic details to keep the price-point at the level where it will be more affordable. 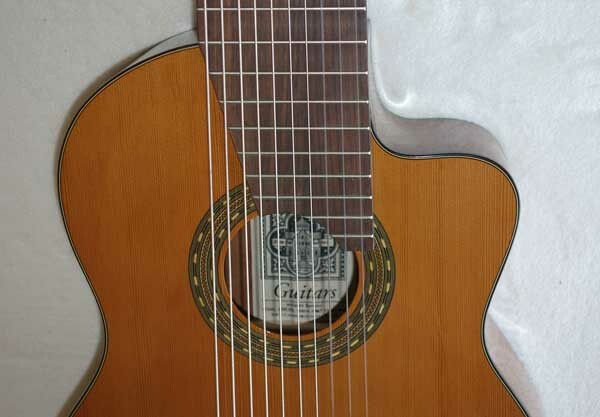 This is a wonderful 10-string guitar -- both acoustically and amplified -- and one of the few that you can get today without having to pay several thousands of dollars and go on a lengthy waiting list!!! Click HERE for additional 1270 Hi-resolution photos of this very guitar, and HERE for 6 video clips. This guitar comes with a Satisfaction Guaranteed, 3-day return policy, and a full 1-year warranty. 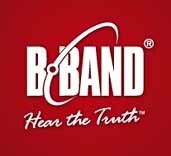 We have sold over 500 multi-string guitars, and are by far and away the world's leader in 7- 8- 10- and 11-string guitars. Click here for additional Cathedral / Bartolex / Milagro reviews. 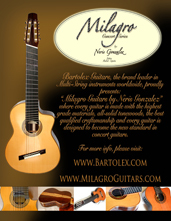 Bartolex / Milagro / Cathedral Guitars is a guitar company founded by Argentinian guitar designer, luthier and guitarist Neris Gonzales, with production based in a high-quality Artisian Workshop in China. The result is a great guitar with high-quality woods and Western-trained workmanship at a price untouchable by USA or European builders. 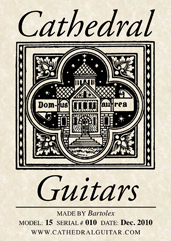 (Click here for my Cathedral Guitar Interview with Neris). The sound, both acoustically and recorded, is simply wonderful. I personally am endorsing Cathedral Guitars, Bartolex and Milagro 10-string guitars and am selling them on eBay, at the Guitar Foundation of America Guitar Conventions, and through my website Bartolex USA. 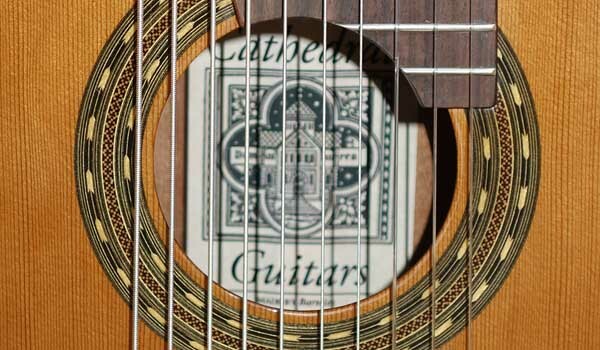 I have already well played over 300 gigs on my own Cathedral and Bartolex 10-String guitars, and I'm constantly astounded at how good these guitars are, and for the price / performance value they are simply unbeatable. This guitar is the answer to my personal dream of having a quality 10-string guitar back in standard production, at an affordable price -- and maybe it will be for you as well. I have played and owned dozens of multi-string classical guitars, and this instrument rivals, equals or surpasses many luthier built guitars in the 3k - 6k range. This guitar has a AAA-grade solid cedar top, laminated mahogany back & sides, and rosewood fretboard, and creates a beautifully-balanced Spanish sound with nice trebles, deep basses, and excellent resonance and sympathetic sustain. The low bass response is particularly good on this guitar (you can tune it down to low E with a special Savarez string). It is also very even across the registers, and has excellent resonance and sympathetic sustain. I have the guitar tuned with Savaerz Strings in Romantic tuning, a standard 10-string tuning where 1-6 is normal, and 7-10 descend step-wise: 7=D, 8=C, 9=B, 10 =A. Strings By Mail has a great selection of 10-string sets and can put together custom sets for you at a discount over individual strings. Several excellent string manufacturers offer 10-string sets, including D'Addario, Hannabach, and Savarez. @ Nut = 77 mm o.c. @ fret 12 = 89 mm o.c. @ bridge = 101mm o.c. Here are 6 quick, 1-take YouTube videos of me playing this guitar, to give you an idea of what to expect. 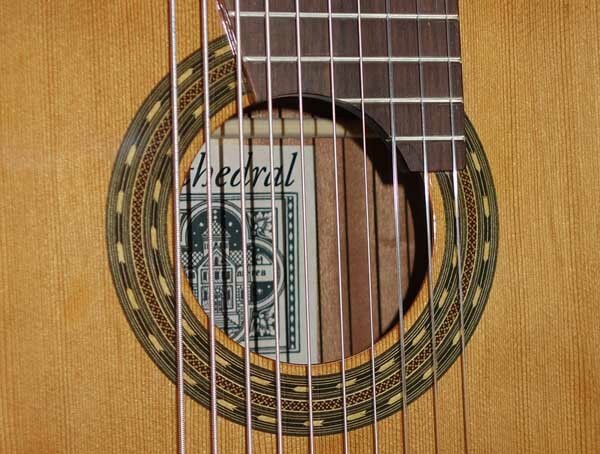 The guitar has excellent power and projection, and records very well. These MP3 files have no compression, EQ or reverb -- just straight signal, tracked through a vintage pair of AKG D222 + D224 dynamic mics into Undertone Audio UTA MPEQ-1 preamps into a GoPro Hero2 video camera. 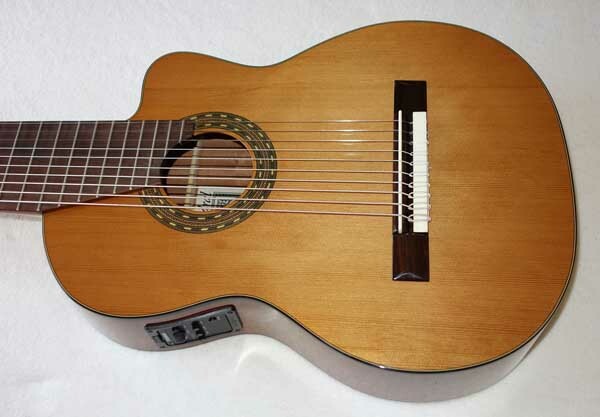 In short, this guitar is a great concert and/or recording guitar for any intermediate to advanced-level player, and it would make a great guitar for classical concerts, recitals, local gigs, as well as recording studio projects. It is also the ideal guitar for first getting into the world of Multi-String guitars, as it is an affordable, easy-to-play, and a great-sounding instrument. 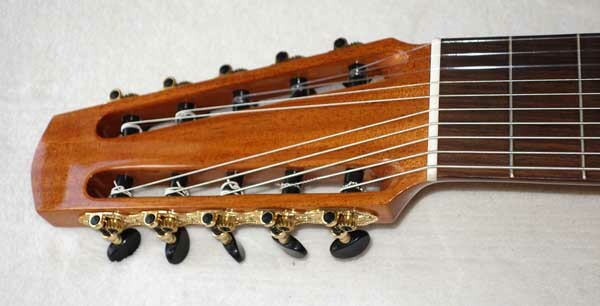 The 10-String guitar was originally invented by guitarist/composer Ferdinando Carulli together with luthier Rene Lacote. 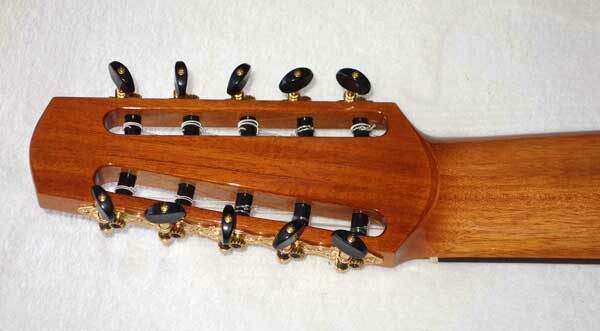 CLICK HERE for the PDF Carulli's original instruction book for the 10-string along with some pieces he composed for the instrument. In recent times, another anthology was put together for the 11-string Alto Guitar, and many of these arrangements are easily playable on the 10-Sting. CLICK HERE for the 120-page Multi-String anthology PDF. My website Cathedral Guitar has a lot of info on multi-string guitars; I also run an internet radio station on multi-string guitars and lutes 10-String Radio; and also I moderate a 300-member 10-String Yahoo Group on the subject, and am working on an instructional website, 10-string.com. James R. Smith has an excellent intoductory article to the world of multi-strings, here. If you need a teacher to help you adapt to the 10-string guitar, you can check this list here. Also, if you will be playing mostly lute music on the 10-string, I strongly recommend taking lessons from a lute player, if you can find one. If you want online lessons, I highly recommend the 10-String guitarist Perf De Castro, who is both an excellent musician and a wonderful teacher, and he offers private 10-string guitar lessons via the internet. Click Here for more details. 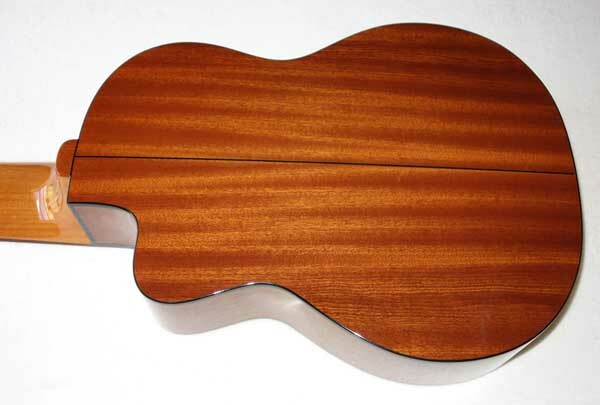 This guitar type is also a relative of the Harp Guitar family known as the Fretted Harp Guitar. 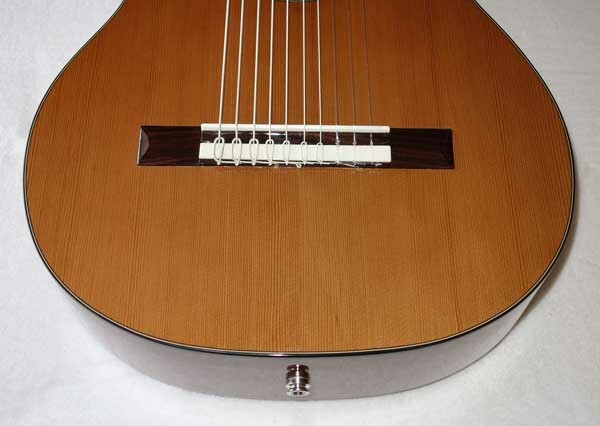 It has a big advantage over the other harp guitar types in that the frets extend across the entire neck, and the guitar can easily be played with a capo, and be quickly transposed into a variety of keys, which is especially helpful when accompanying singers. This is, of course, impossible on a regular harp guitar. Custom capos are made by Shubb (ask for the Pinnochio model), and also by Phill Elliott. Insured USA FedEx Ground is $40. I do accept PayPal, Visa, Master Card, AmEx. Thanks for looking. Please ask questions before bidding. Satisfaction Guaranteed!!! 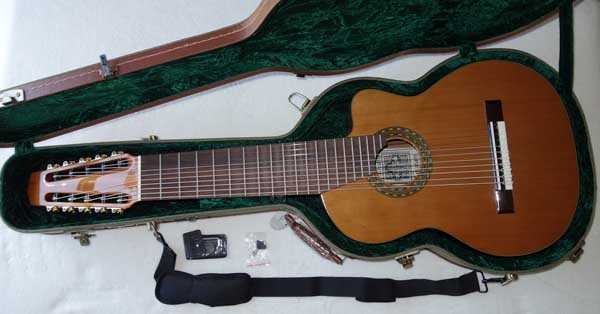 This auction is for one Cathedral Guitar Model 125CEL 10-string classical harp guitar guitar, Fishman Presys Pickup installed, and hardshell case. No other accessories are included. 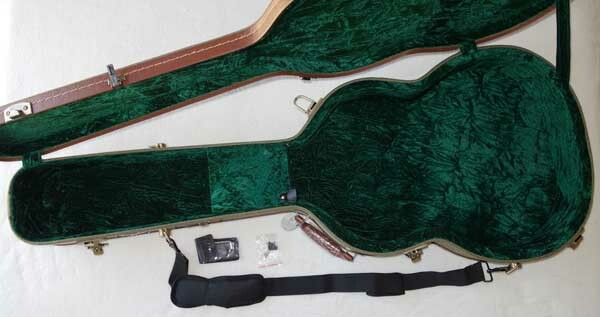 If you are not happy with the guitar for any reason, simply return it within 3 days (buyer pays shipping). So far, after 66 Cathedral guitars sold via eBay and direct sales, not a single customer has returned a guitar because they didn't like how it looks, plays, feels, or sounds. In fact, many people voluntarily write in to say how thrilled they are with their new Cathedral Guitar.  These comments are often reprinted with permission on the BartolexUSA website. PLEASE CHECK OUT my other multi-string and Bartolex guitar in my Current eBay Auctions, and also see and hear some 10-string guitars that have Recently Sold on eBay.